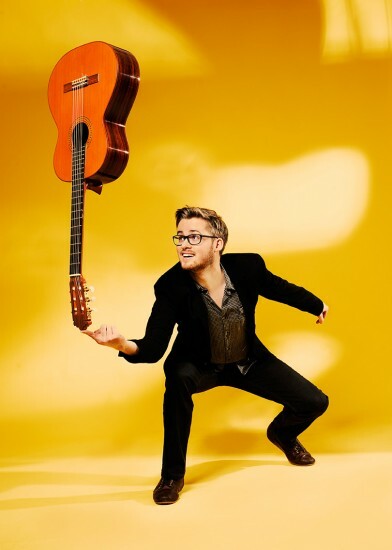 With his music, in which he combines virtuoso fingerstyle guitar with influences from jazz, world- and classical music, Soenke Meinen has already acquired an outstanding reputation in the international guitar scene. He has won numerous prizes since his first stage appearances, and in 2016 he collected awards at two of the largest international guitar competitions: the well-respected „Guitar Masters“ (first prize) and the European Guitar Award (sponsoring prize). The Australian guitar wizard Tommy Emmanuel introduced Soenke Meinen to his audience as „one of the most creative guitarists in the scene today“. Soenke Meinen was born in 1991 in Aurich/East Frisia. He studied at the College of Music in Dresden where he worked with the renowned musicians Thomas Fellow, Stephan Bormann and Reentko Dirks. Since graduating in 2017 he performs all over the world – not only in solo concerts, but also together with the guitarist Philipp Wiechert, danish violin virtuoso Bjarke Falgren or jazz singer Anna-Lucia Rupp. In addition to his musical work as a guitarist, he initiated the International Freepsum Guitar Festival which annually takes place since 2011.